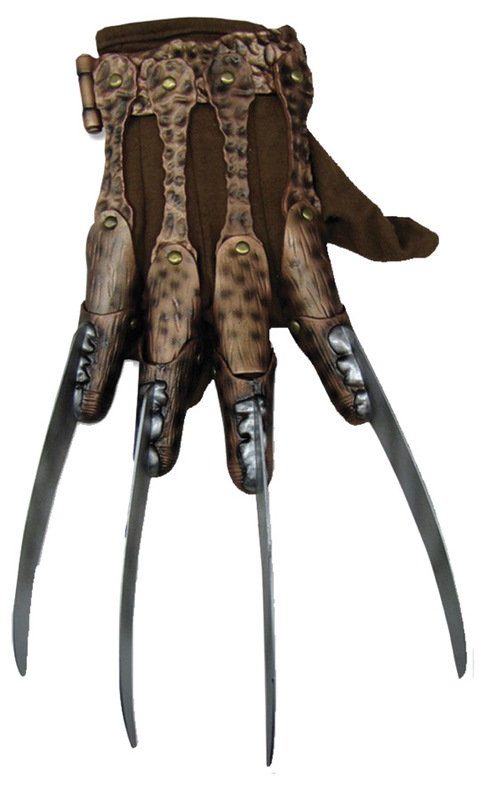 Freddy Krueger is nothing without his metal glove. This supreme edition adult glove is sure to fit the bill nicely. One size fits most adults.